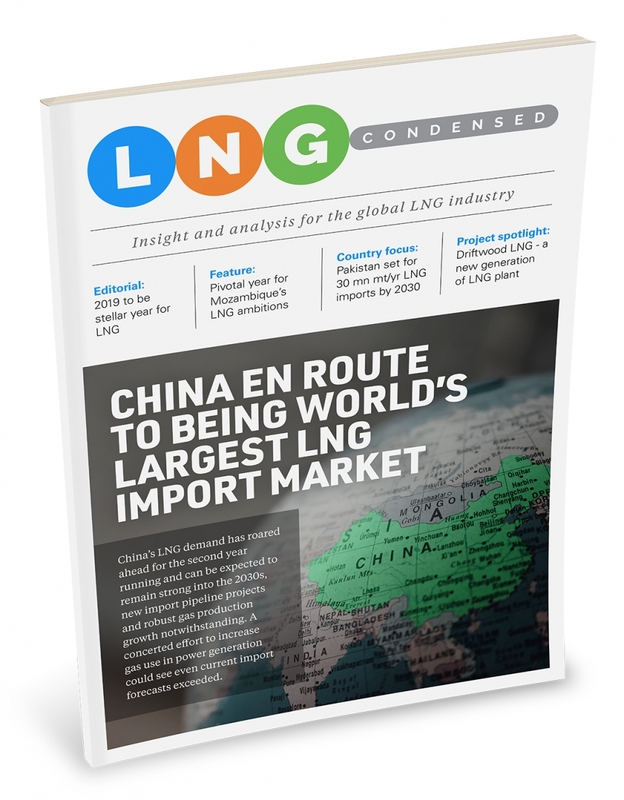 Driftwood LNG hit the news at the end of last year with two announcements which move the innovative LNG project closer to a final investment decision (FID). Developer Tellurian announced that it had entered into a memorandum of understanding (MOU) with Swiss trader Vitol to supply 1.5mn mt/year of LNG and the Louisiana Board of Commerce and Industry voted to grant the project the first tranche of a tax break poten- tially worth more than $2bn over 10 years. This good news built on some earlier positive developments. As Henry Hub gas prices rose above $4/mn Btu in late November, owing to high- er winter demand following low injection rates over the summer, prices went the other way at the Waha gas hub in the Permian basin, falling as low $0.25/mn Btu. Some instances were reported of negative prices – producers actually paying to have their gas taken away.